What Nintendo franchise will Retro Studios tackle next? It seems like whenever they produce a Nintendo game, it gets the polish and treatment it deserves. 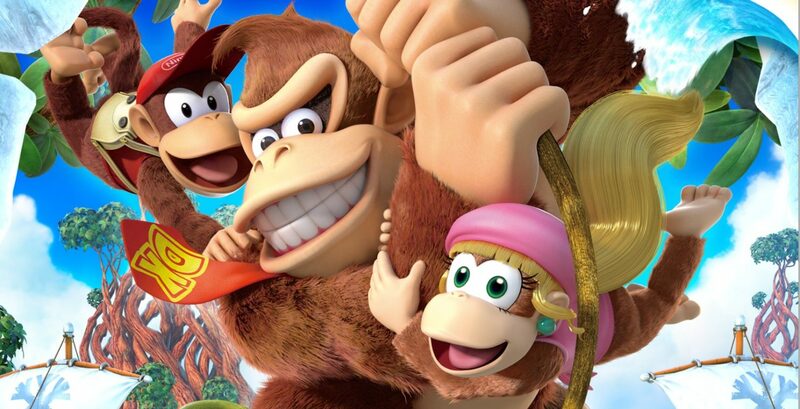 Like the Metroid Prime Trilogy and Donkey Kong Country Returns, Donkey Kong Country Tropical Freeze continues Retro’s legacy of developing beautiful, deep, and satisfying gaming experiences that you simply don’t want to miss. If you didn’t own the Wii U version of the game, you are in for a real treat with the Nintendo Switch edition! I would say Tropical Freeze is one of the finest 2D platformers ever created. The level design and creativity exhibited throughout the game is very impressive to say the least. Story isn’t a huge focus in the game, but there is a nice cutscene at the beginning to set the stage. In a coconut shell ( :D ), some frosty fiends take over DK Island–launching DK & Co. off into the sky like Team Rocket. It’s basic but effective and there are some fun little story details on each island as you progress. 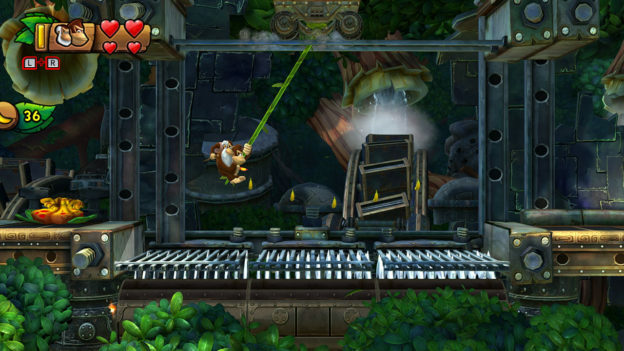 On “Juicy Jungle” for instance, each level shows different stages of popsicles being made. It starts with harvesting the fruit, slicing it up, juicing the fruit, turning it into jelly, and then finally freezing into popsicles. This type of progression can be seen throughout each landscape in the game. It’s really fun to see the level of care that was put into the game in each world and level. It goes a long way to giving a personality to the game’s antagonists. Moving on to gameplay, Tropical Freeze is very similar to most Donkey Kong Country games dating back to the SNES days with some nice improvements. Mine-cart levels are back and crazier than ever. In some of these cart levels, you’ll even move in 3D instead of just 2D. 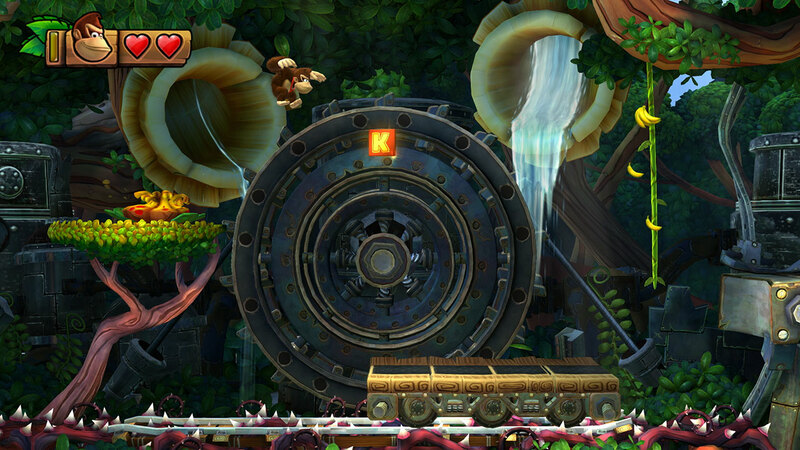 You’ll be collecting K-O-N-G letters as usual and puzzle pieces which were introduced in Donkey Kong Country Returns. 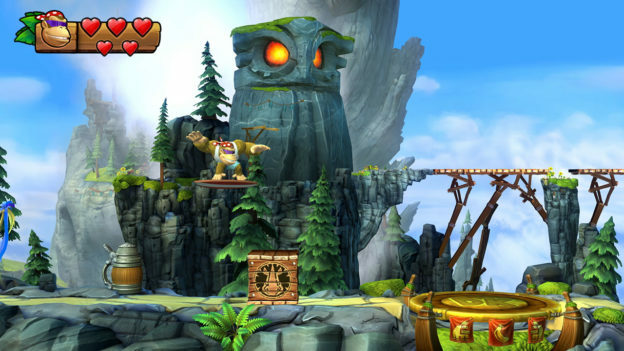 The rocket barrel levels are also very fun and feature some of the best moments in the history of the series–especially in the Juicy Jungle rocket level. Secrets are plentiful in levels and you are free to explore at your leisure–no time limit like in 2D Mario games. Levels are also much longer and more diverse than 2D Mario games. There are often multiple checkpoints instead of a simple halfway marker. I honestly can’t think of another 2D platformer, Nintendo or otherwise, that has such amazing level designs. The game’s quality means that you’ll be finding it hard to put your Switch down as you go level to level. While the gameplay is incredibly fun in Tropical Freeze, the game really shines in the visuals department. This is by far the best looking Donkey Kong game to date complete with beautiful HD graphics. Animations are crisp and everything from the Kong’s fur to the background environments make them feel alive–this game will definitely age well. 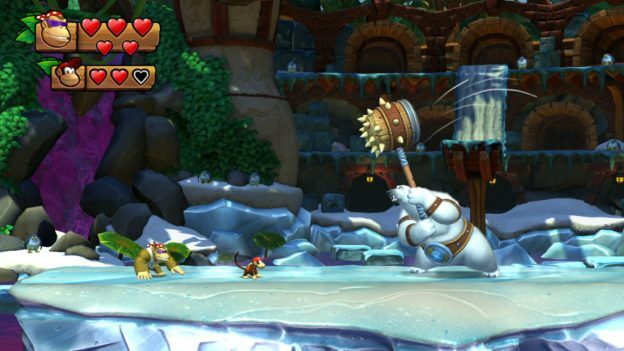 The Switch version also has some resolution improvements compared to the Wii U edition and even features the inclusion of a new “Funky Mode” where players can control Funky Kong. Platforming purists don’t have to worry though, the game’s original mode from the Wii U version and difficulty are still in tact. I highly recommend the regular mode first and only go to the easier, Funky Mode if the regular mode proves too difficult. I never found the difficulty to be unfair in the regular mode, and I honestly think the game gives players enough banana coins to offset the lives lost along the way.